It's commonly defined by professional racing drivers as the purest form of motorsport. It's the preferred modern-day stepping stone to a future career in the sport. Yet it's also accessible for a simple evening of fun with friends. Karting doesn't just have to be for those who are serious in making motorsport their living. 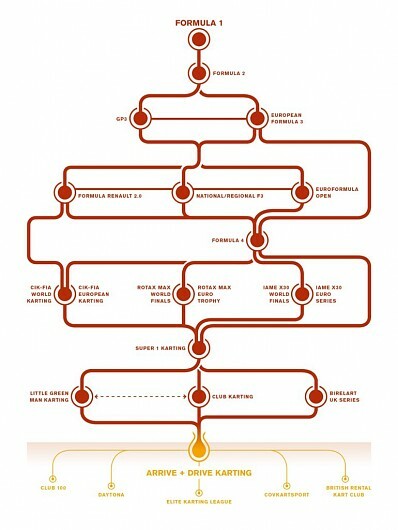 Look at the graphic below: compared to the single-seater ladder, it's relatively straightforward. Despite the introduction of new engines at international level in recent years, front fairings to promote fairer racing, and the continued rise of the IAME X30 powerplant, the path towards the top of national and international karting is rather simple. The graph shows a clearly identifiable path up the middle, from dipping a toe in the water in Arrive and Drive series to becoming more serious and gaining greater experience in club racing. Off to the side we have the popular club-based series such as Little Green Man, and the progression then continues to the British championships in Super 1. If the budget allows, but is not necessarily required, this can be twinned with international racing, where drivers can test themselves in the CIK-FIA-regulated championships, or the Rotax or IAME-powered series, before the move into car racing. But the base of the pyramid is the Arrive and Drive series. 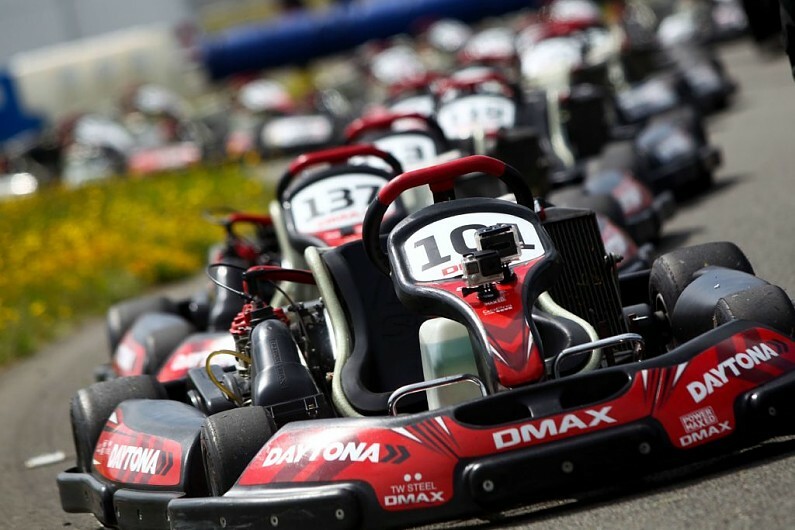 Some, such as Daytona, offer the simple experience of rental karting, in which you pay for your track time and the rest is provided for you with no further outlay. Daytona director Jim Graham says the success of Arrive and Drive karting is due to its simplicity and cost-effectiveness, without having to worry about bills afterwards. "All you need is to be the required age and have the funds to pay to compete, whether it's practice or a race," he says. "Daytona provides the suits, gloves, helmets, as well as all marshals and briefings. "If you're the parent of an eight-year-old who wants to become a racing driver, they can try the junior category. If they really get into it, they can move into the race school and then a 10-round monthly championship. You race the same standard of driver, similar age and weight, in evenly matched karts. All the driver has to do is arrive and race. "When you're over 16, you can then go further into our 10-round DMax Championship, which travels the country to eight different tracks. For about £200 per month, you can race in that weight-controlled championship in a Rotax-powered 125cc kart against 30 other drivers. You gain so much experience without having to worry about the cost of buying the kart, tyres or damage bills." The next jump is into club racing. Your local kart club will host its own championships for a variety of classes and age groups, with entry numbers regularly high. And for more experience, drivers can race at other clubs' meetings. The rise of the Little Green Man series, which runs alongside selected club events, has been hugely successful over recent years, helped by the introduction of the 125cc IAME X30 engine. It began running at club weekends one week prior to each Super 1 event, and quickly became used by many drivers as preparation and a competitive test before the national round, but has now become a popular series in its own right. The X30 Tour became such a success that Super 1 created its own national-level junior and senior classes. Elliot Harvey has risen through the club-racing ranks since 2012, winning the recent Trent Valley Kart Club Winter Series and finishing fourth in last season's Super 1 Senior X30 class. Harvey says that club karting is a necessary step before the move into national-level racing. "Club racing is fundamental in helping you learn your racecraft and how to make the most of your equipment," he says. "It provides you with so much practice that you can get to a level in which you can become genuinely competitive. That increases your confidence levels before you consider making the next jump up to Super 1. "You can race at club meetings almost every weekend. That's not the case in Super 1. You're also racing against new drivers at each club, rather than just sticking to the same grid at your home club meeting. And you're learning new circuits and how to adapt to them too. That's a vital preparation tool, especially if you're then looking to race there in Super 1 soon afterwards." Harvey says that in most rounds, club racers are competing against the majority of those drivers regularly turning out in Super 1: "If you're unsure of whether to make the move up, you can therefore judge what that level would be, and without the added cost of national-level racing. If you didn't bide your time in club racing and jumped straight into Super 1, there's the possibility that you could drop out halfway through and lose your confidence. You'll have wasted money and your time." With confidence in the bag, the next jump is into national karting and the Super 1 Series, the top package in British karting. 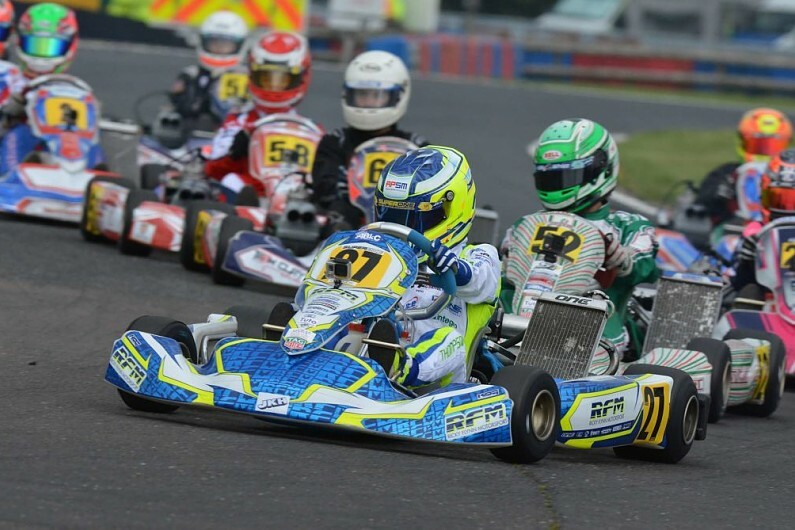 Alongside the numerous classes for differing age groups and engines, Super 1 hosts the MSA IAME British Cadet Championship for youngsters aged eight to 13 years old. Super 1 boss John Hoyle says the level of competitiveness in national-level racing is the key reason why it prepares drivers well before they successfully graduate into car racing. "The level of competition is so high and it's done on a level playing field," he says. "Everyone is racing on the same equipment so it comes down to the actual skill of the driver. If you're not that experienced when entering for the first time, once you've completed a season of Super 1 you'll be far more prepared because of the level of the drivers you're racing against. "The key to success for drivers in Super 1 is the amount of track time it provides compared to car racing. If you take part in a car race, you may get two 15-minute races after a short practice and qualifying session. Whereas in Super 1, you're probably on the track for 90 minutes around shorter, tighter tracks. It's intense racing." With such a high quality of racing, Hoyle says some drivers falsely believe that they will be unable to achieve positive results in Super 1. "Some people are possibly put off because they believe it's so competitive that they won't be able to win," he explains. "But we had one driver enter last year, who later said he wished he had entered Super 1 earlier because he'd thought he couldn't compete. But he was actually on the podium for most races." With years of experience under your belt in club and national-level racing, if you're 15 years old the time may have come to look to move into car racing, with the numerous national and regional FIA Formula 4 championships the favoured category. But if budgets allow, you may look to divide your time in Super 1, or devote it fully to international racing. There are three options at this point, powered by three different engines: the official CIK-FIA European and World championships; Rotax Max Challenge Euro Trophy; or the IAME Euro Series. Some karters who exit these championships skip F4 and head directly to European two-litre Formula Renault series. 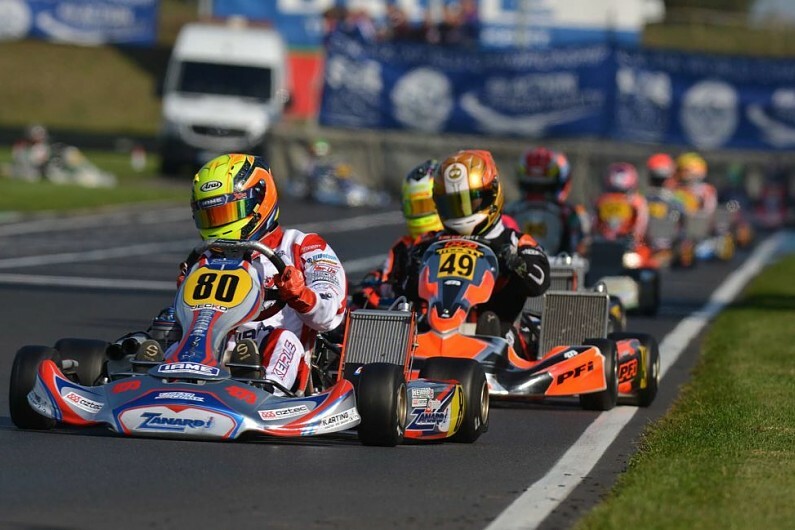 Lando Norris was crowned the CIK-FIA World senior karting champion in 2014 and lines up as the McLaren Formula 1 reserve driver for 2018. He says that international karting gives graduates more of a competitive edge when they progress into cars. "Going up against better drivers in bigger races, there's more pressure on you to perform with more eyes on you," Norris says. "You get less track time in international races, so you have to make your performances and results count. That helps you adapt easier when you move to cars." Whether you plan to use it as a form of entertainment and adrenalin, or the beginnings of a long career, karting provides everything that you're looking for. You may just find it becomes more than a hobby. Autosport karting, brought to you by Advance Construction Scotland.